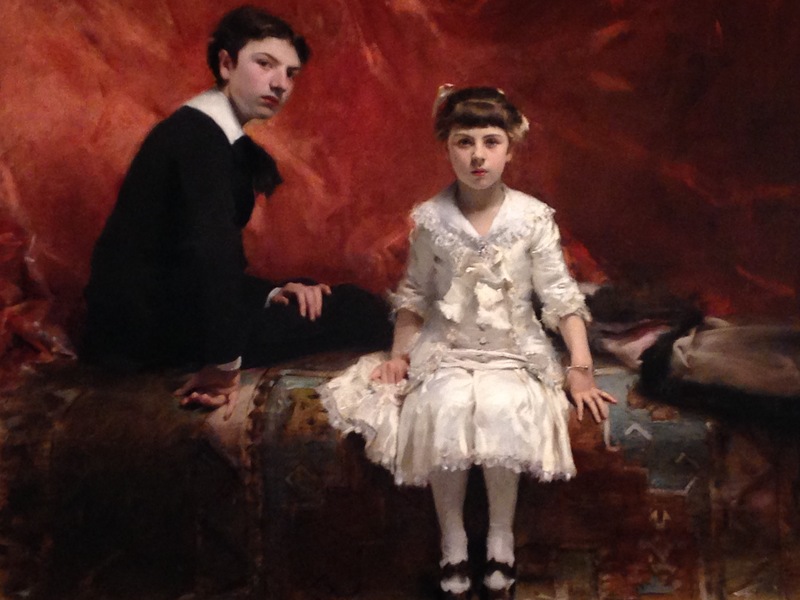 I went to the John Sargent special exhibit at the Met Museum this past week, and I was surprised to be so unfamiliar with his work. He was a contemporary of Monet, Van Gogh, and Rodin, but I couldn’t name a single painting from his collection going into it. Sargent was known for his portraits, and for capturing the essence of his subject along with the physical likeness. The picture of the two kids above was one of my favorites. It made me think of how I deal with difficult things in life. Sometimes I’m like the boy over to the left. Petulant. Annoyed with the situation, and just sort of wishing it would all go away. However, I am occasionally like the young girl. She doesn’t want to be there either, but she faces the artist head on, almost stares him down, as her feet dangle above the floor she can’t quite reach and her hand clenches in a fist. “Bring it,” she seems to say. I’m going to be doing something a little be scary – for me – this week. I’m so scared that I can’t even write what it is here. My goal is to be fearless, like the little girl. I will push forward with determination and grit, even though I may not have the talent and abilities to pull it off. It’s worth a try. This entry was posted in Art and tagged fearless, john sargent, met museum. Bookmark the permalink.